Different shades of marble and granite are available to give your stairs an excellent look. You can have samples at your location. For better understanding you may come to factory also. Marble strength is like a stone and its beauty and shine is like glass. It has unique natural shine. Easy in cleaning. No need of detergent, just wet cloth. No gaps between individual tile thus no future black lines between the tiles. Once Marble is fixed it will not break for 15 to 20 years or even more. After several years it looses its polish than it can be re-polish to get the first look again. Marble can be re-polish many times. Since it is natural so like other natural items it comes with variation. Most marble comes in beige shade (skin color). It requires at least 10 days for processing before it can be delivered to you. It is not packed in branded boxes so its initial look doesn't look impressive as compare to other flooring alternatives. 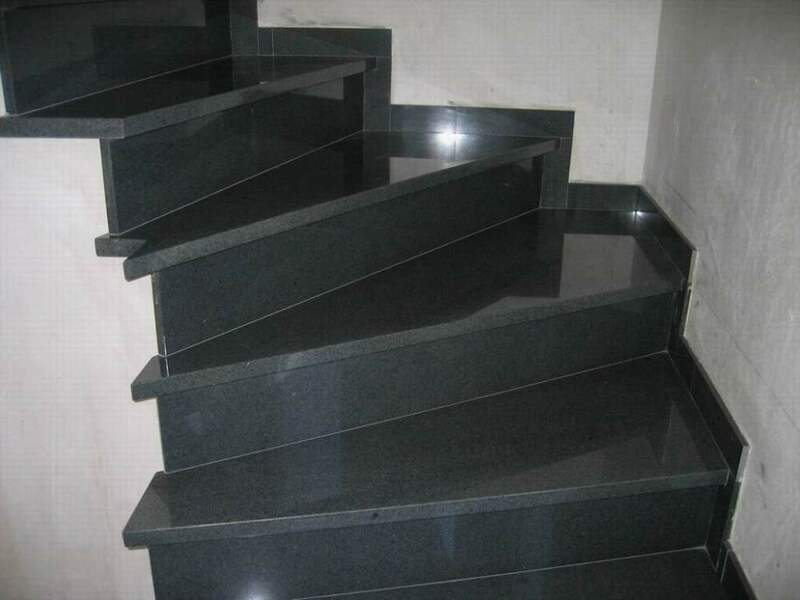 Marble rates for stairs starts from Rs.100 per sq.ft. Granite Stairs cost at least Rs. 400 per sq.ft.